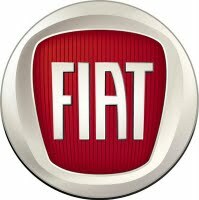 Italian vehicle- and equipment-maker Fiat S.p.A. has resolved Foreign Corrupt Practices Act violations arising out of the U.N. oil for food program. It agreed with the Justice Department to pay a $7 million penalty for illegal kickbacks to officials of the former Iraqi government by three of its subsidiaries. Fiat also reached a settlement with the Securities and Exchange Commission for which it will pay $3.6 million in civil penalties and $7.2 million in disgorgement and interest. The DOJ filed criminal informations against three Fiat subsidiaries in U.S. District Court for the District of Columbia. Iveco S.p.A. and CNH Italia S.p.A. were each charged with one count of conspiracy to commit wire fraud and violate the books and records provisions of the Foreign Corrupt Practices Act. 15 U.S.C. §§ 78m(b)(2)(A), 78m(b)(5) and 78ff(a). CNH France S.A. was charged with conspiracy to commit wire fraud. While Fiat itself wasn't charged by the DOJ, the Turin-based company and its three subsidiaries were given a three-year deferred-prosecution agreement. In addition to paying the $7 million penalty under the deferred-prosecution agreement, Fiat acknowledged responsibility for its subsidiaries' violations, agreed to cooperate with U.S. and foreign investigations, and undertook to implement a compliance and ethics program. The DOJ, however, didn't require Fiat's appointment of a compliance monitor. In recognition of Fiat’s thorough review of the illicit payments and its implementation of enhanced compliance policies and procedures, the Department has agreed to defer prosecution of criminal charges against Fiat and its three subsidiaries for a period of three years. If Fiat abides by the terms of the agreement, at the end of the three-year period the Department will dismiss the criminal informations against the subsidiaries. The SEC's civil complaint charged Fiat and CNH Global (a majority-owned subsidiary headquartered in Amsterdam) with failing to maintain adequate systems of internal controls to detect and prevent the corrupt payments and failing to properly record them. Sections 13(b)(2)(A) and 13(b)(2)(B) of the Securities Exchange Act of 1934 [15 U.S.C. §§ 78m(b)(2)(A) and 78m(b)(2)(B)]. In addition to the civil penalty of $3,600,000 under the SEC settlement and disgorgement of $5,309,632 in profits and $1,899,510 in pre-judgment interest, the companies were permanently enjoined from future violations of the internal controls and books and records provisions. Between 2000 and 2002, Iveco, CNH Italia and CNH France paid a total of about $4.4 million to the Iraqi government in order to obtain contracts to provide industrial pumps, gears, heavy vehicles and other equipment. The companies inflated the price of contracts by 10 percent before submitting them to the United Nations for approval, and concealed that the price contained a kickback. Iveco and CNH Italia also inaccurately recorded the kickback payments as “commissions” and “service fees” for its agents in its books and records. The DOJ said that during the time in question and until August 23, 2007, Fiat had American Depositary Receipts publicly traded on the New York Stock Exchange. It was therefore an "issuer" within the meaning of the Foreign Corrupt Practices Act, 15 U.S.C. § 78dd-1(a), and required to keep books, records, and accounts that, in reasonable detail, accurately and fairly reflected the transactions and disposition of its own assets and those of its subsidiaries that were incorporated into its books. The SEC's civil complaint said about jurisdiction that "Fiat and CNH Global, directly or indirectly, made use of the means or instrumentalities of interstate commerce, of the mails, or of the facilities of a national securities exchange in connection with the transactions, acts, practices, and courses of business alleged in this Complaint." Download the DOJ's Dec. 22, 2008 release here. Download the Fiat deferred prosecution agreement here. Download the Iveco criminal information here. Download the CNH France criminal information here. Download the CNH Italia criminal information here. View the SEC's Litigation Release No. 20835 (December 22, 2008) in Securities and Exchange Commission v. Fiat S.p.A. and CNH Global N.V., Civil Action No. 08 CV 0221 (D.D.C.) (CKK) here. Download the SEC's civil complaint against Fiat and CNH Global here.